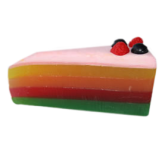 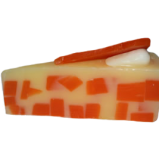 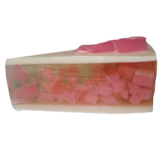 Fruit Bliss Gourmet Cake Soap Slice is filled with fresh green apples, pears and a touch of lemon to add to the richness. 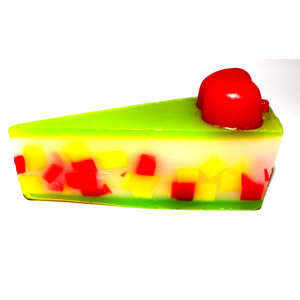 Creatively topped with green apple jelly and a slice of peeled apple. 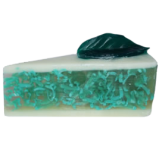 All soap of course.